We are really pleased to announce that four members of the CuraCare team were short-listed as finalists in this year’s London regional finals of the Great British Care Awards. Maria Mazacote de Smith was shortlisted as one of the finalists in the Best New Comer category. 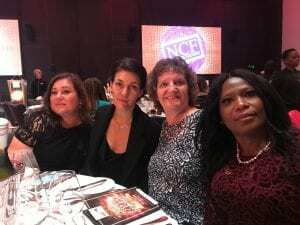 Both Sophie Giraud-Blagrove and Elizabeth Christie were shortlisted for the Best Home Carer category and Umu Koroma was shortlisted in both the Best Trainer category as well as the Best Innovator category. To be shortlisted as finalists in these awards is a massive achievement. The four team members were shortlisted from thousands of applicants from the sector and their shortlisting was testament to the excellent care each of them deliver. We’d like to offer each of them a massive congratulations! CuraCare helped my mother when she came out of hospital. My mother found the carer, Natalie, to be really helpful and reliable. Fortunately my mother’s health improved so she no longer requires Natalie’s help but I would definitely look to use the company again should the need arise. The total service given to us was completely faultless. Nothing was too much trouble, the carers that attended to my wife were very friendly, efficient and most caring. We would recommend the company to anyone that asked for our opinion. Thank you for sending your carers to my father. We are very happy with all aspects of their care. What I like about CuraCare is that they respond flexibly and provide carers who offer thoughtful and respectful care. All the staff have been very helpful and very friendly. CuraCare provided a comprehensive care package for our elderly relative who lived alone and needed a high level of personal and social care. They provided stimulation and company as well as meeting the personal care needs of our aunt. The manager and carers actively sought ways to improve the quality of her life whilst ensuring her safety and wellbeing. It was reassuring to know that the carers who attended her each day were providing the high quality of care that she needed. What I like about Cura Care is that they respond flexibly and provide carers who offer thoughtful and respectful care. © 2015 CuraCare Limited. All rights reserved.